As we watch Trump and the Republicans in Congress display the worst that’s in us as human beings, it’s important to keep in mind that there often is a comeuppance for such sins against others. 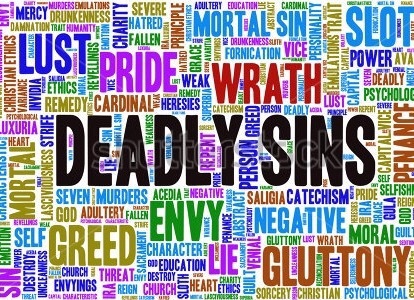 With that in mind, this weekend’s music theme is The Seven Deadly Sins and paying the price for doing wrong. Otherwise known as Trump’s resume. Your turn now, share your favorite songs about sins or just desserts!